Join us on Facebook LIVE! PLUS your chance to win an Opening Order! You could also WIN a custom ECOCOCO opening order (valued at $1,000). This is the number one problem that salon spa and clinic owners face, so why is it so difficult to solve? When a beauty therapist decides to open a salon, they are filled with optimism and excitement about the journey ahead of them. Many anticipate all of the time, money, freedom and fulfillment that they will enjoy profiting from their passion…but, then comes the reality of running a small business! All of that optimism fades quickly when you are struggling to attract customers, retain team members and no matter how hard you try, you just cannot seem to figure out where all the money goes. So why is reality such a far cry from the original goal? As is the case across so many industries, beauty therapists are not usually experienced business owners and operators and are unsurprisingly trained in beauty therapy, not graphic design or marketing. We know that running your own business takes up more time than you seemingly have in any given day, and can feel like it is taking you away from your original passion; making your clients look and feel their absolute best. There is no question that most beauty therapists that open a salon or spa are amazing at performing treatments and understanding how to get amazing results for their clients. However, this is a completely different skill set to what is required to run and promote a small business. That is why Professional Beauty Solutions (PBS) have been working tirelessly to deliver the tools required to completely transform this reality for salon owners. Marketing on a Platter (MOAP) is designed to take a huge load of work off your plate by doing your marketing for you! 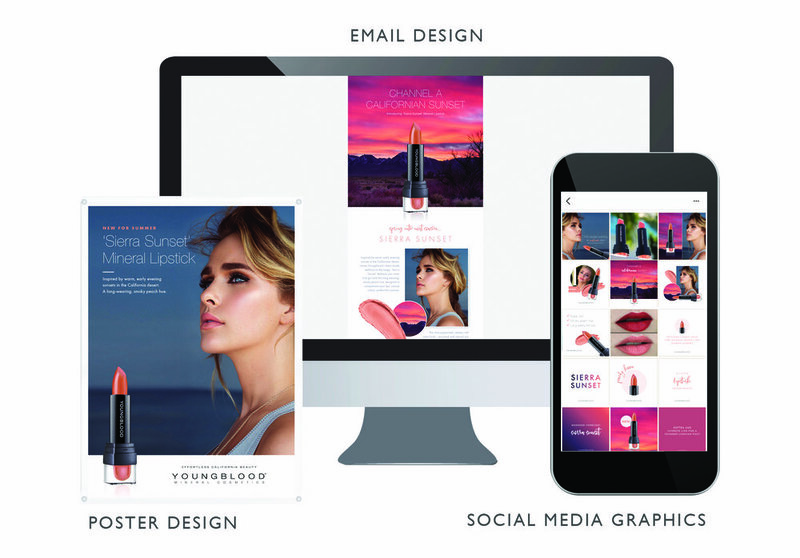 We have taken our team’s abundance of experience to create marketing assets that work to attract and retain clients. We know that salon owners do not have the man hours to spend on marketing, so we have literally spent hundreds of man hours bridging the gap. No matter which PBS brands you stock, whether that is one brand or all 11 of our brands, we provide you with free monthly sets of marketing collateral that you can use across multiple digital channels. From Facebook to Instagram graphics, blog posts, EDMs and website images and banners, we also create compelling deals to enable you to promote different services complemented with retail promotions. Along with exciting birthday campaigns, referral campaigns, and many tips on how all of this can be easily implemented to drive new business through your door, your marketing is complete without having to lift a finger. Your clients spend 40 minutes per day on social media. That’s why we create new sets of social media graphics each month, from product features to seasonal trends, ready to go with a click of a button. Effective point of sale marketing can boost sales over 25%. That’s why we create new sets of visually eye-catching POS posters, ready to print and display in your salon the same day. Every $1 invested into email marketing generates an average of $38 in revenue. Email is one of the best digital marketing tactics for small businesses with limited marketing budgets! That’s why we create enticing deals and grabbing headlines in your ready-to-use e-newsletters, driving action and traffic directly into your business. If there is one thing that is just as important as having hard work and passion in your role as a beauty therapist, it is constantly educating yourself and your team on the how the industry is changing and evolving! We have had a HUGE year bringing all our salon partners 8 FREE educational MOAP Monday Live sessions via Facebook, with huge success. We were also lucky enough to have special guests Vanessa McDonald (Salon Marketing Coach) and Daynah Hamilton (Studio Matrix) share their wealth of knowledge across salon marketing, and social media and give our salon partners the tips and tricks they need to help them become more profitable in the beauty industry. Missed an episode or want to re-watch again? Visit our Profit Advantage Facebook Page. Black Friday (24th Nov) and Cyber Monday (27th Nov) are two of the BIGGEST shopping days of the year with 137 million shopping over the weekend in 2016, and an estimated $682 billion to be spent this year in the USA alone. If you are currently thinking “Woah that’s amazing!”, it’s time for you to enter the fold and craft unique promotions to get your clients coming into salon to try services or new products. Promoting Black Friday is a great salon marketing tool when used properly. This shopping day can boost a potential quiet month in salon – in the lead up to Christmas, November can be slower – as well as encouraging clients to spend more money in order to get a good deal. Brand your services uniquely themed to the season with modifying your classic treatment names to spring up holiday feelings. Why not surprise your loyal clients with a surprise complimentary holiday service? It is not only a great way to say thank you, but also draws attention to your creativity and brings to the forefront of their mind their need to rebook before the Christmas period. This idea can be hugely successful at this time of the year, and it’s fantastic to promote on Black Friday with 63% of Black Friday purchases being gifts for others. It is effective to offer your client a gift card and something in return, such as ‘purchase a $100 gift card for a friend, and receive your own $25 gift card free’. This is something special that they know is a rare promotion, and will feel rewarded by you. And when they return, they are likely to use this card on a special treatment to pamper themselves, which means a happy client and more business for you. Run Black Friday discounts on social media and on your website. Stress your time-limited sale or exciting promotions on social media to encourage people to pop in. It is even great to invest in some Facebook advertising to reach a greater audience and boost your organic posts. But remember, advertising any sale or discount in advance works much better than posting on the day. A quick dash around your salon will yield a surprising haul of forgotten items. Turn these items into hot sellers with a great, compelling price and beautiful packaging! Even bundle a few items together in an organza bag and create your own beauty, skin or tanning kit that’s appealing to the eye to move through your stock. Clients will suddenly feel they are getting value. It’s the one weekend when discounts are expected and work well, remember to price each item individually and show the discount to boost your cash flow. Run a Black Friday competition. A great way to get engagement to your salon’s pages is by running a competition on your Facebook leading up to Black Friday, or over the weekend, with a prize is a service that must be taken up in January or February, when you will be much quieter. Only just realised that Black Friday is only a few days away? Research shows that the best way to promote your discounts, services or gift cards in salon is through e-newsletters or text. These are effective, inexpensive ways to reach your whole salon database to shout about your last-minute beauty bargains and treats.